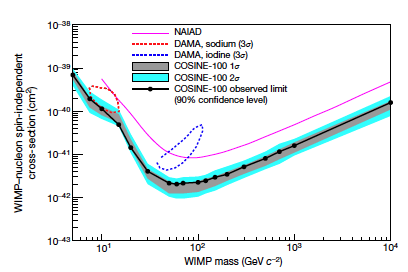 A search for inelastic boosted dark matter (IBDM) using the COSINE-100 detector with 59.5 days of data is presented. This relativistic dark matter is theorized to interact with the target material through inelastic scattering with electrons, creating a heavier state that subsequently produces standard model particles, such as an electron-positron pair. In this study, we search for this electron-positron pair in coincidence with the initially scattered electron as a signature for an IBDM interaction. No excess over the predicted background event rate is observed. 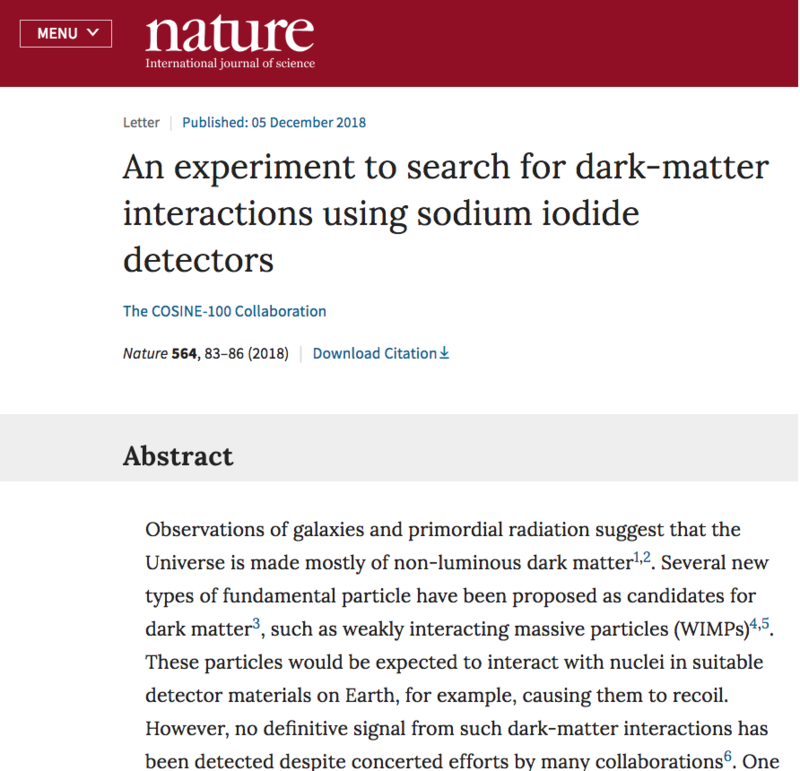 Therefore, we present limits on IBDM interactions under various hypotheses, one of which allows us to explore an area of the dark photon parameter space that has not yet been covered by other experiments. This is the first experimental search for IBDM using a terrestrial detector. During IDM2016 conference in Sheffield, UK, Neil and Reina were invited to BBC radio to discuss about sterile neutrino and dark matter. Start listening from 19:20. 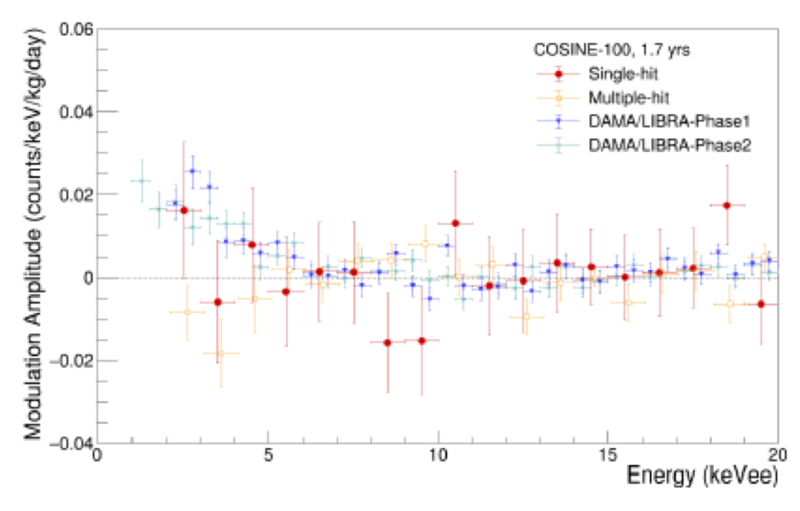 DM-Ice and COSINE-100 were covered in Physics Today article, “Disputed dark-matter results gets put to the test”. PDF version is also available.